This recipe is one of Balinese’s most popular traditional dishes. 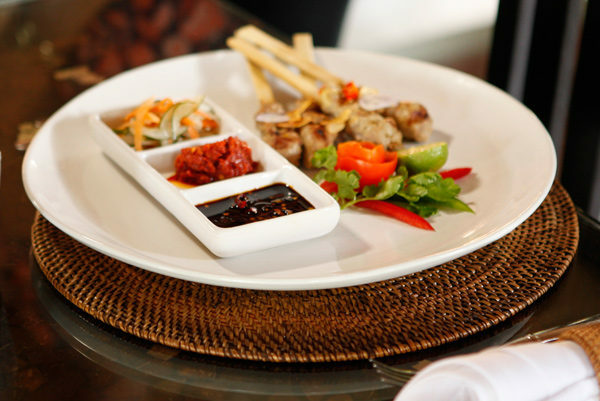 Balinese cuisine is very well known for its satays, and depending on the specific location, most are served with Sambal. Originating in Bali - Indonesia’s most populated island, satay is now available almost everywhere in Indonesia, as well as in neighboring Southeast Asian countries such as Malaysia, Singapore, Brunei, the Philippines and Thailand. It is also very popular in the Netherlands, as Indonesia is a former Dutch colony. Prepare the bowl for stirring the all ingredients. Input all ingredients to make satay. Stir until evenly and make sure enough it feels/seasoning. Then start to make satay. Take about 30 gr of meat satay, and then wrap the ends of bamboo skewer.